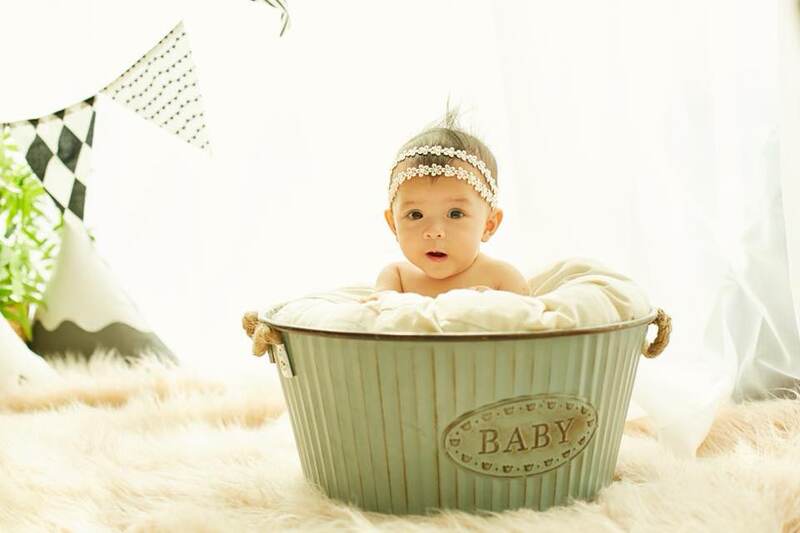 Please Vote For My Twin Niece And Nephew! Tiny but mighty, these twins are fighters. They came into the world with a big bang unexpectedly at 32 weeks, spent a good one month plus in neonatal care in Singapore and now, they are thriving and getting cuter and cuter by the day. Who can resist these babies? I feel broody each time I hold them. Please do me a favor, will you? Would really appreciate it if you could take a few minutes off your precious time to help ‘Like’ the photo of the twin’s contest here. 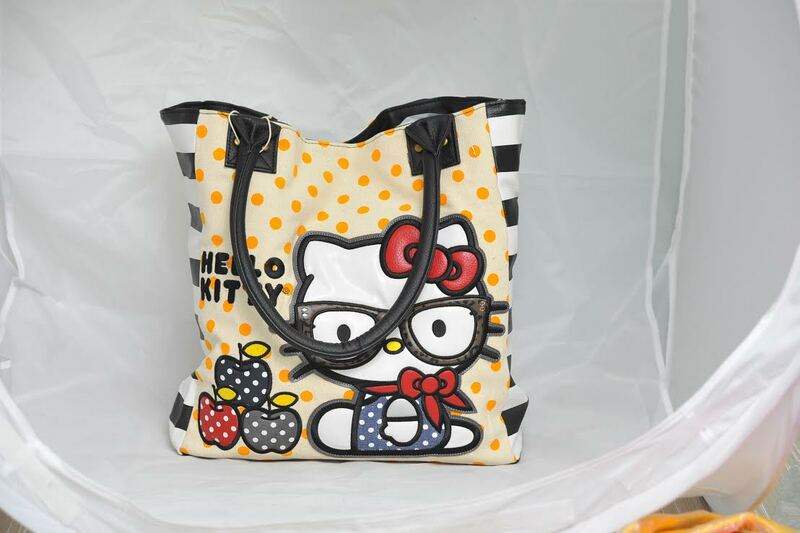 Giveaway – Cute Hello Kitty Bags From Ensogo!! Hear ye, hear ye fans of Hello Kitty!! 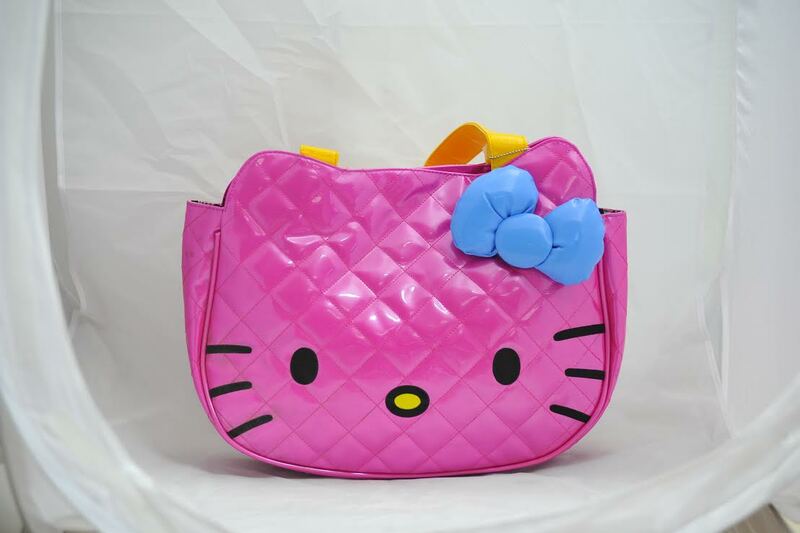 Here’s a chance for you to win a super duper cute and unique Hello Kitty bag in the Ensogo Shop And Win contest! 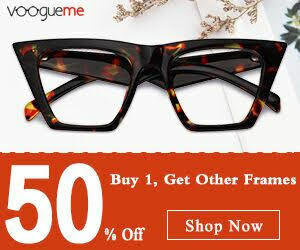 As soon as you have received your product/order from Ensogo, snap a picture of the item. 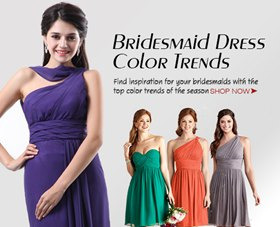 In your Facebook posting, link the word Ensogo to the Ensogo website: http://www.ensogo.com.my/ and state how easy and convenient it is to shop online at Ensogo. Best of all — there is NO MINIMUM amount of cash to be spent in your shopping at Ensogo! Awesome pawsome right? So what are you waiting for? Quick hop over to Ensogo to start shopping now!! You can also download Ensogo’s mobile app to shop on the go. For those of you looking for baby strollers, Ensogo is having a stroller offer now. If you are available today, head over to the Kelana Jaya LRT Station to stand a chance to grab Ensogo cash vouchers and exciting Hello Kitty goodies! 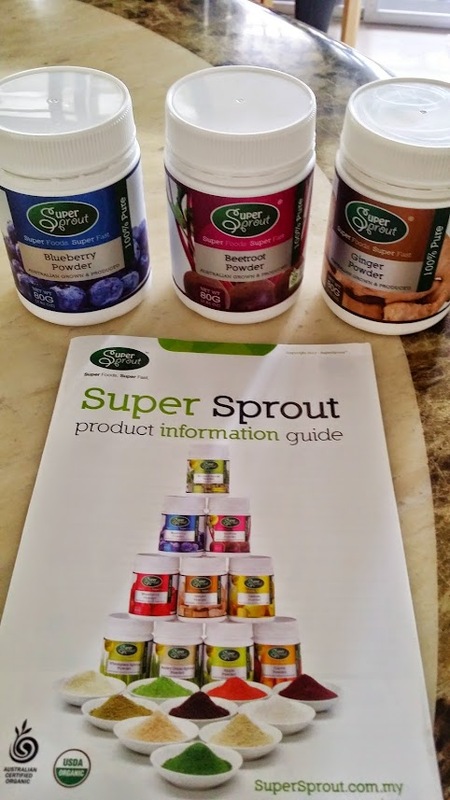 Super Sprout Natural Food Powder – Share&Win Contest and Promo Code! 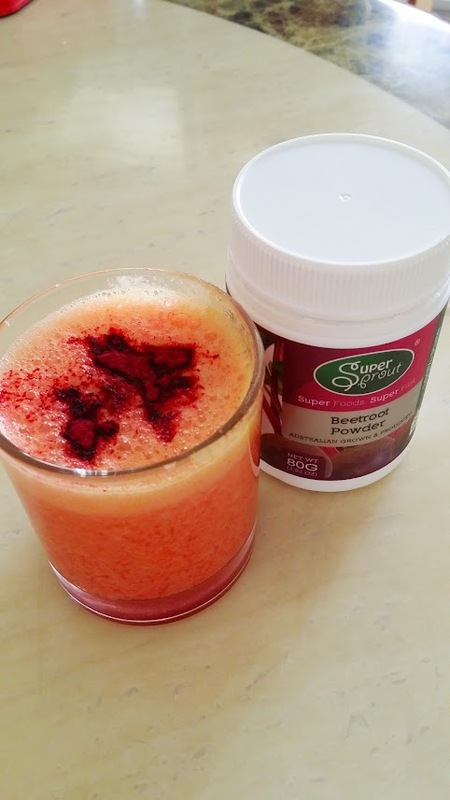 Yesterday, I was one very happy health freak mommy when I received my package of healthy fruit powder from Super Sprout Malaysia, comprising of blueberry powder, beetroot powder and ginger powder. Thank you so much for sending these good stuff to me Reako Sdn Bhd! I love them so much!! Why is Super Sprout so good? Super Sprout powders are natural food powder which can be used in cooking, baking (bread, cookies, cakes, tarts), smoothies, yogurt, salad, soup, sauce and basically any recipe. Not only can Super Sprout powders improve the colour and taste of a dish in a very natural way, the food powders also enrich nutrient profile and improve digestibility of the nutrients found in them. Using Super Sprout powders is easy peasy too. Just a teaspoon a day — sprinkle, stir, mix or add into any dish you like. No fuss, no waste, no mess. Super Sprout powders are suitable for the whole family’s consumption, including children of one year and above. Super Sprout powders come from 100% Australian grown fruits and vegetables. 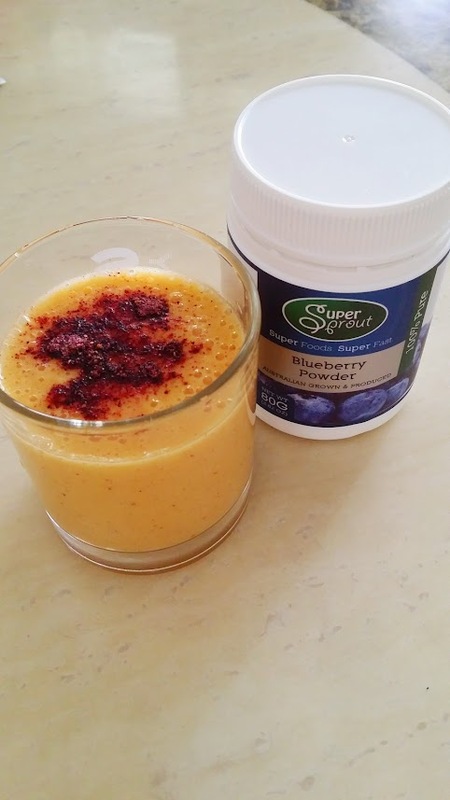 I could not wait to try out the powders and made a quick dash to the kitchen to whip up my smoothie-of-the-day, which was orange + green apple + Super Sprout blueberry powder for the girls. I whizzed a teaspoon of Super Sprout blueberry powder with the fruits for 20 seconds on my Blendtec blender. Then, sprinkled another teaspoon for decor. I was worried that my fussy girls wouldn’t like the taste but they were awed by the vibrant colors of their smoothie and bolted down their smoothie in a jiffy! Mine was orange + green apple + beetroot powder. I find that beetroot powder is much more palatable than taken raw. The beetroot powder is super fine and slightly saltish, which tantalizes my palate. I love it! I used a teaspoon of Super Sprout beetroot powder to pulse it with my fruits and sprinkled another teaspoon for deco. Don’t you just like the reddish pinkish hue of my smoothie? It’s good stuff, bursting with flavors and nutrients ok. I wasn’t in the mood to eat any meat yesterday (again! ), so I whipped up something that’s excitingly meat-free for lunch. 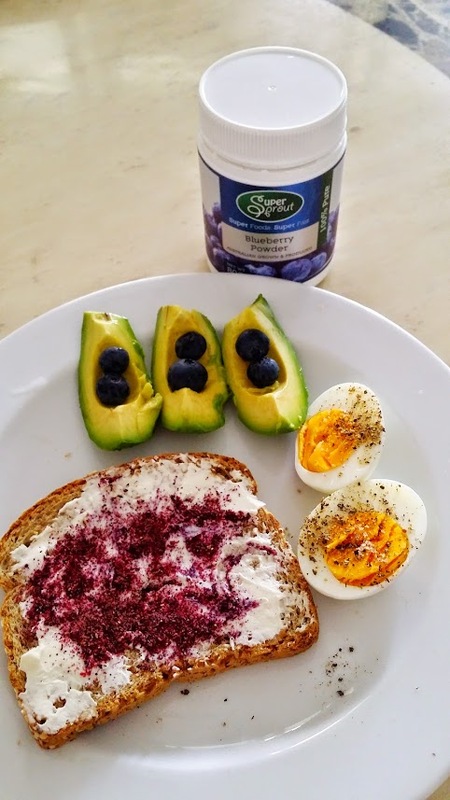 I had toasted sprouted wheat bread with cream cheese and Super Sprout blueberry powder. The combo tastes like blueberry cheese spread, with a hint of saltiness and tanginess. 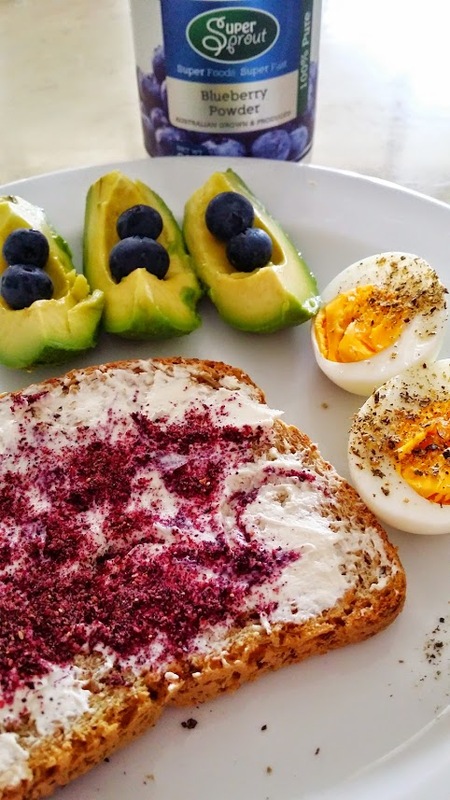 Just perfect for health freaks who are on a low-carb diet. 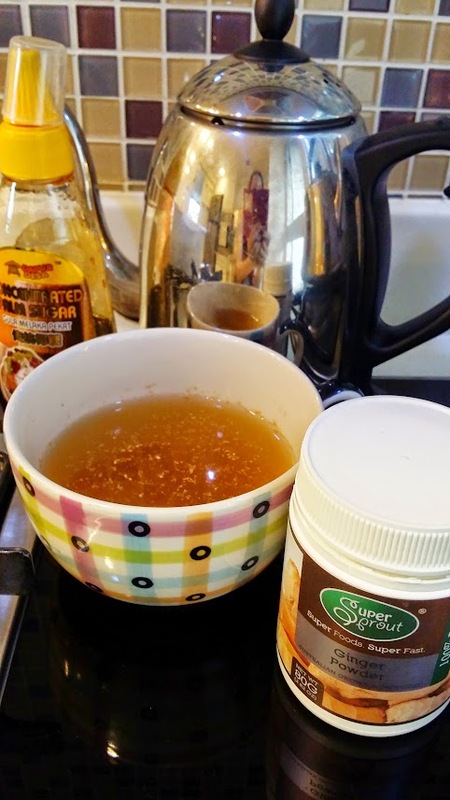 You can drizzle some Manuka honey, maple syrup or palm sugar syrup on the toast, if you fancy it slightly sweet. Ginger is well-known for reducing gas and painful spasms in the intestinal tract. It also reduces menstrual cramps, has a warming effect, stimulates circulation, inhibits such bacteria as Salmonella and protozoa and prevents stomach ulcers. Share & Win Contest For Health Freak Mommy Readers! Reako Sdn Bhd is now running a Share&Win contest in the Super Sprout Malaysia Facebook page. The winner of the contest will get a Super Sprout powder worth RM59! Contest deadline is 31 May 2015 midnight. Promotion Code For Health Freak Mommy readers! In addition to the contest, all readers of Health Freak Mommy are given a promotion code to enjoy a 10% discount on any Super Sprout product! Upon checking out from Reako Nutrition, key in the promo code, which is Health Freak Mommy to enjoy a 10% discount on any Super Sprout product. Validity of promotion code is from now through 30 June 2015. And The Winners For The Ecover Give-Away Are…. To all those who submitted your slogan for the Ecover cleaning products give-away, my apologies for the delay in announcing the winners. School holidays mean that my working hours online are thrown off course. Before I am off to my second staycation in an hour’s time, I better announce the winners today. So here goes *drum rolls*……………………………………. Neelum, Little Lamb and Lee: would appreciate it if you could email me at shireenyong@gmail.com and provide me with your name, delivery address and handphone number for purpose of shipping the winning product to you. Ecover Cleaning Products Give-Away – Reminder For Closing Date! Ding dong ding dong, ding ding dooooooong!! Announcement: 7 more days to the closing date for submission of the Ecover cleaning products give-away! If you are do not already know, Ecover is now having a give-away in my blog for 3 lucky winners. Since 1980, Ecover is the world’s best known brand of environmentally friendly household cleaning products. Ecover products are made in Belgium and the bottles are made from sugar cane-based polyethylene and are 100% recyclable! How Do You Stand A Chance To Win? All you have to do is to comment in this post with a slogan (not more than 100 words) as to why you deserve a bottle of Ecover dishwashing liquid or cream creamer. Closing date for submission of slogan is 23 July 2014 and I shall announce the winners in a separate blog post. Hurry submit your slogans now. Just click on ‘Leave A Comment’ to type out your e-slogan. Each reader is allowed to submit only one slogan ya. FREE Give-Away of Ecover Cleaning Products! This was what we had for dinner last night – stir-fried egg noodles with fish cake slices, meat slices, cabbage and fried eggs. The girls savored their oodles of yummy noodles to the very last strand! After dinner, they had to help to wash the dishes and clean up the dining area. Our part-time helper could not come yesterday, thus the MIL dished out something simple at home. So what’s so special about Ecover dishwashing liquid? Since 1980, Ecover is the world’s best known brand of environmentally friendly household cleaning products. Ecover is powered by nature and produces cleaners derived from plants and minerals. This means its products are free from harsh and sometimes harmful chemicals, that may cause dry skin and blisters to the skin. After using Ecover dishwashing liquid, my hands did not have the ‘tight’ and dry feeling. That’s because Ecover products are dermatologically tested and suitable for those with sensitive skin. Ecover products are made in Belgium and the bottles are made from sugar cane-based polyethylene and are 100% recyclable. Their eco surfactants have been tested to provide powerful cleaning with complete biodegradability and low toxicity. A win for us and for Mother Nature! Envy not as Ecover is now having a GIVE-AWAY!! YES, FREE Ecover products for 3 lucky winners!! And The Winners Of The Method To The Rescue Contest Are…. If I were part of the Management of Method, I’d love to reward all those of you who have submitted your entries. I really think that each and everyone of you and your family / friend deserve a Method product. I really love all your stories. It ain’t easy for me to choose 5 winner. 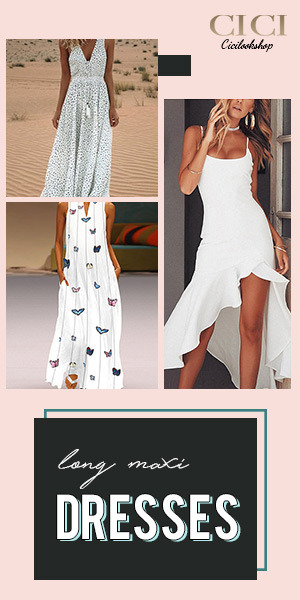 Together with my daughters, we have picked these 5 winners, though I’d love to choose all! My mum really deserves Method’s Floor & Surface cleaner. She raised 4 kids and is now helping to raise 3 grand-kids including a 3 month old baby, yet she is famous for keeping her floor squeeky clean! That’s how high her standards are – she absolutely must have clean floors that her feet feel comfortable walking on! Ever since the arrival of our daughter, my wife has been busy juggling her roles as a wonderful wife to our daughter and me. She is so tidy that she only wants to do it all by herself without my help as according to her I don’t do a good job. I have never seen her using any home care products that are truly gentle for her hands. By winning the Method Hand Wash for my wife, I hope that she can get the job done without much worries, as these products are gentle to her hands. I believe my mum and Method products will compliment each other as both are small wonders, despite being small they are efficient. Since becoming a grandmother she is more meticulous about the cleanliness of her home. Clean floors and laundry has always been her priority and Method products being biodegradable will fit her perfectly as it is gentle to both her hands and mother nature. This small size wonder will also ensure a clutter free detergent cabinet. Being a mother, is one of the toughest job in the world. So much dedication and effort is needed to play the role of a mother, as well as a wife. My wife has been doing a wonderful job keeping the family together, for the past thirty years. I really have no complains because everything is done perfectly. She is now 60 and I really hope that she will put herself first above everything else as personal well being is the most important thing for her now. I really hope that I can win a bottle of Method Laundry Detergent as a simple gesture of showing her that I care for her. I would like to win Method Bathroom Cleaner for my mother. She cleans our bathroom on a daily basis and there is no doubt that it is one of the hardest yet most important room in the house to clean. I personally feel that cleaning grout between tiles can sometimes seem like an endless chore for her. She has also been trying to remove tough stains from sinks and shower. I hope and pray that Method comes to her rescue as it will make a world of difference for her. IF I do not receive an email from the 5 lucky winners by 20 Dec 2012, I will pick another winner to receive the contest gift ya. Method To The Rescue Contest – Extension of Give-Away Contest! So the kids and I have been using Method hand wash for a few weeks now, and I must say the scent and the pretty colours have really won the entire family over. Not only do the hand washes look and smell good, they do the job perfectly – clean our hands thoroughly. I looked up the company behind the soaps and was quite amazed by what I discovered. Did you know the founders of method are actually 2 thirty-something school mates, one with brand campaign experience and one with a chemical engineering degree from Stanford? I can certainly see where method the baby gets its characteristics from – earth friendly cleaning products with ultra-chic packaging! They’ve gone from hand washes to floor, bathroom, toilet cleaners and all-purpose ones. –	Good Guide awarded Method hand wash (and other products) a score of 8.5 out of 10. 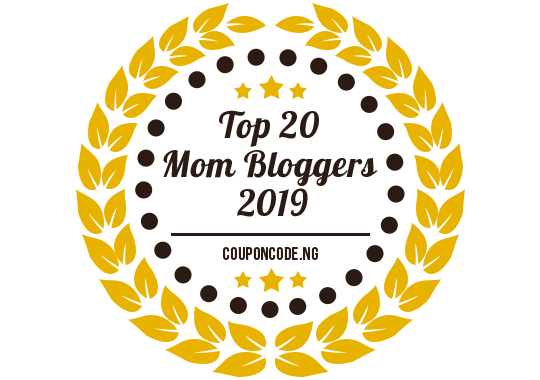 –	Method cleaners remove dirt by breaking the bond between dirt and the surface so it is easier to wipe away. Normal cleaners remove dirt by breaking it down with chemicals. –	Over 60 method products have Cradle to Cradle certification, which is an American comprehensive certification for sustainable design and production. Cradle to cradle evaluates product design (formulation ingredients and packaging materials), the manufacturing process and social responsibility. –	Co-founder Ryan Adam’s mum did not take them seriously at the start. She said “you don’t even make your bed and you’re going to start a cleaning company?” She is now a Method convert and their No.1 fan. Ryan is still a messy boy, though. –	Ryan once drank method toilet cleaner! There’s proof that the products are non toxic. I read good reviews about the floor cleaners too. Can’t wait to try them out for myself. Keep you posted! Oh by the way, if you want to win some Method products for youself, for your loved ones or for your friends, you can do so in a give-away contest. The contest has been extended and deadline for submission of your entries is on 13 December 2012! Just click on the link to my earlier blog post and write your short story to stand a chance to win some great Method products! 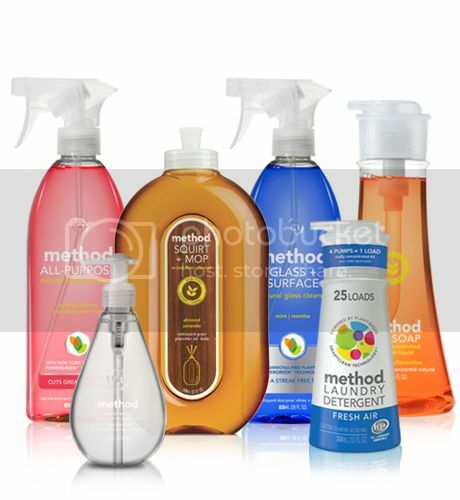 Range of delectable household cleaning products from Method.